Step 3: Create a directory by giving a name and switch to that directory. 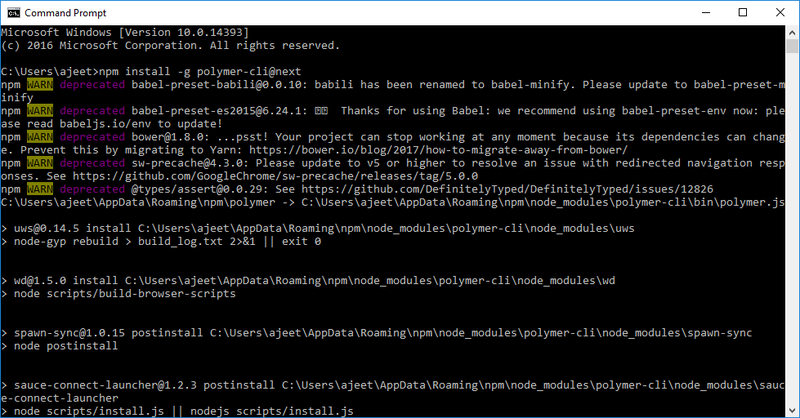 Step 4: Run the following command to initialize your project in your polymer-jsdirectory. Step 5: Select the polymer-2-application from the above options. Now, start your project using the following command. 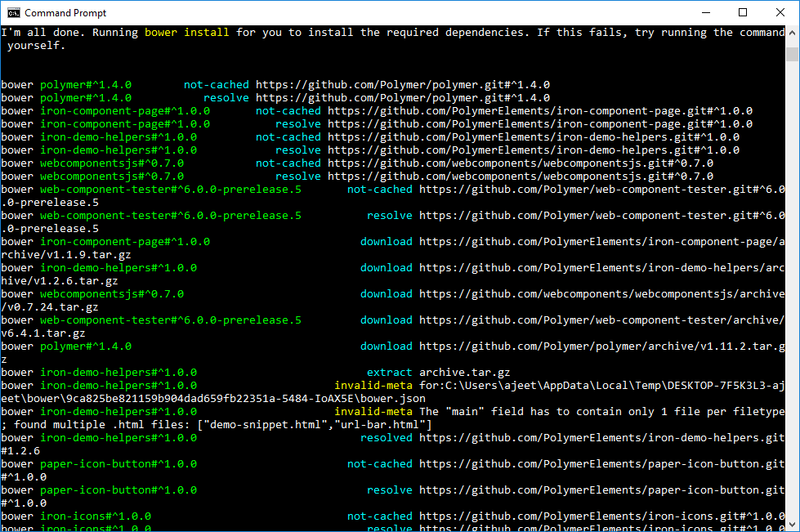 Step 1: To start from scratch using Bower method, install the Bower using the following command. 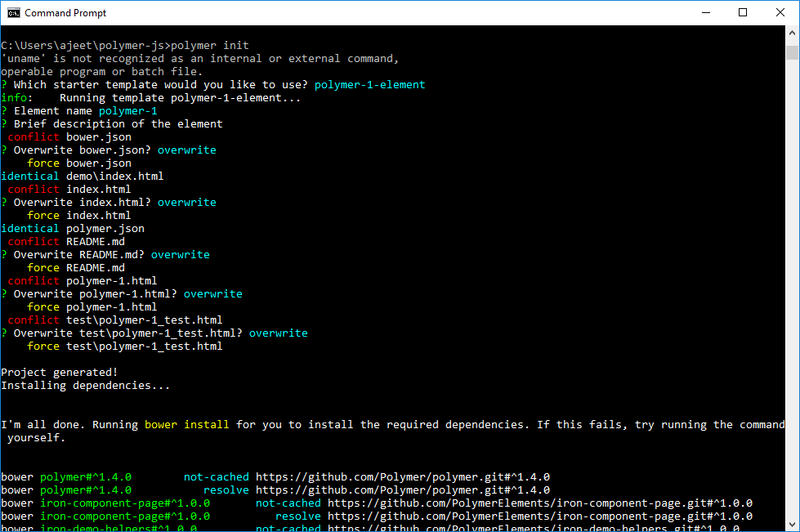 Step 2: Install the Polymer using the following command. 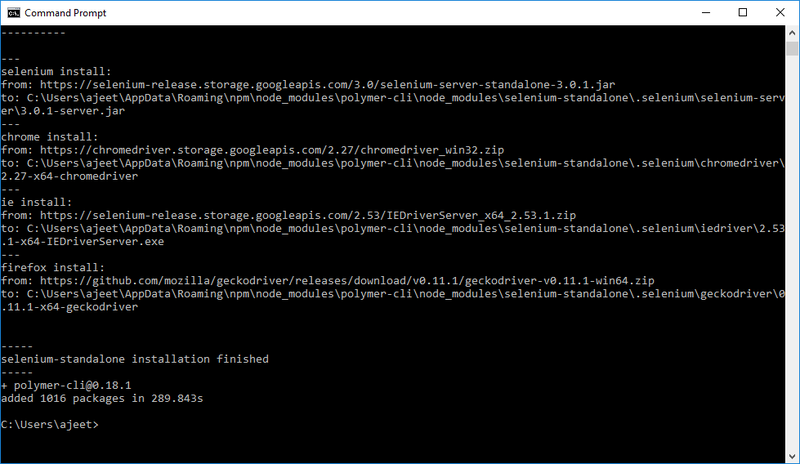 Step 3: Check the successful installation and version of Polymer, using the following command. 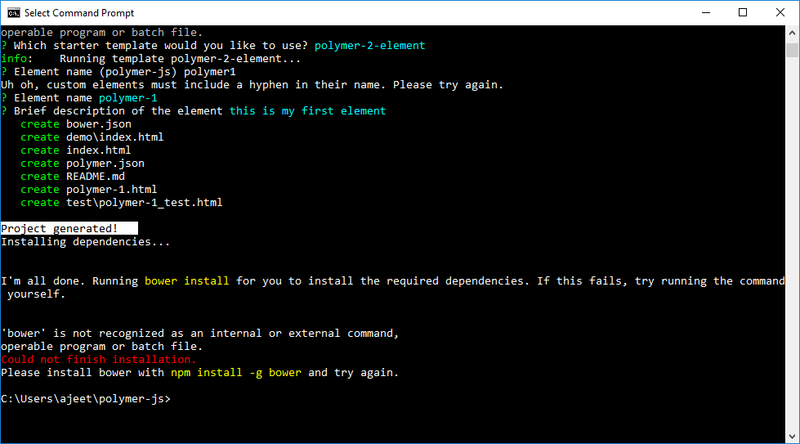 Step 4: To install the latest Polymer 2.0 RC release from bower, use the following command. Step 5: Create a index.html file and add the following code in the <head> tag. Step 6: Start your project using the following command.